For the early railroad engineer, the locomotive had an open seat, a few control arms and an insatiable appetite for coal. It hardly moved faster than a horse but was still the high tech form of transportation in the 1800s. Today's engineers enjoy the enclosed cockpit of computeri... read full description below. For the early railroad engineer, the locomotive had an open seat, a few control arms and an insatiable appetite for coal. It hardly moved faster than a horse but was still the high tech form of transportation in the 1800s. Today's engineers enjoy the enclosed cockpit of computerised, high-speed missiles. Some locomotives can hurtle across the countryside at speeds of over 200km per hour! 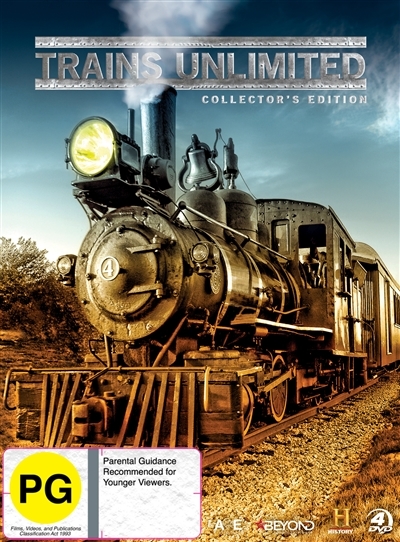 TRAINS UNLIMITED traces the history of the railroads' motive power, from steam to diesel and beyond, alongside the great engineers and visionaries responsible for the ongoing innovation of railway transport.